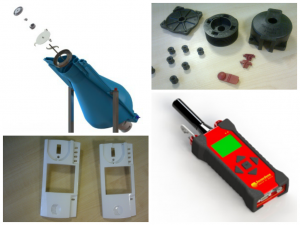 Prototypes for injection moulds can be very expensive. They are often machined out of steel or aluminium which can be both expensive and time intensive, mainly because of the complicated geometries of the majority of moulds. However with the advancement in technology it is now possible to create a mould in less time and at an lower cost by using 3D printing. By using a design software to draw up the prototype which is loaded up to the 3D printer as a file and choosing the right materials such as polyjet which has a low melting point you are able to produce cost effective components at a low cost compared with the conventional machine shop. 3D Printing for plastic moulds may be used in injection, extrusion, and blow-moulding procedures. Printed tooling works extremely well in vacuum-forming, thermoforming, and drape-forming operations. In thermoforming applications, for instance, printed tooling can produce blister packaging for consumer goods. Tooling for product packaging advancement might require several cavities and, with every hole, there could be a large number of vent holes. Printing slashes the time and expense invested to drill or CNC those vent holes. 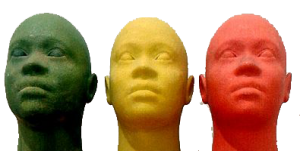 Cores employed to produce moulds could also be printed. For example, a printed component can easily act as the core to create silicone moulds. Cores are typically machine made from plastic, wood, or metal with respect to the tolerance required as well as the encompassing temperatures. Despite the fact that printed cores may need sanding to obtain a smooth surface, expenses are less than a core needing a number of machining procedures. 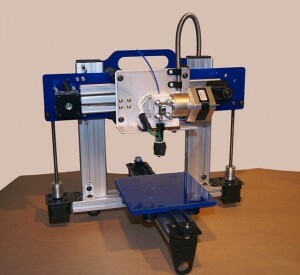 The majority of 3D printers work with a soluble structural substance. This substance can be taken off with a solvent or chipped away. Cores printed from soluble substance may be used in lost-wax casting solutions. Soluble substance could also be used as the master for open-moulding procedures for example spray or hand lay-up. With regard to open-moulding techniques, print a soluble master a bit smaller than the desirable component and layer the master with substances such as fibreglass and resins. As soon as the substances are cured, the soluble substance can be taken off. However 3D printing has got a few restrictions for making plastic moulds. 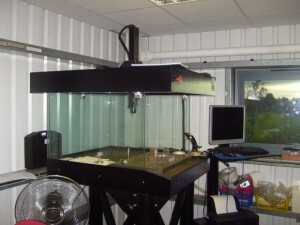 The actual size of 3D printers restricts the tooling to small-scale to medium moulds. It can't generate moulds for components with very thin walls, and should not be used for high heat resins, but the scope and future of 3D printing is amazing with improvements and new developments and bigger printers watch this space! Plastic injection machines are utilised to hold the mould in position and to heat up the plastic so it melts as it is injected inside the mould cavity. Injection machine are normally classified by it's tonnage. The tonnage is the actual clamping force of the clamps used to hold the moulds during the injection process.Depending on the size and material used for the moulds can be anything up to 5000 tons. There are different types of injection machines you can have single mould and double mould injection machines the double machines will incorporate two sets of screw plungers nozzles and hoppers and will increase your capacity to produce more product in less time. You will always get some sort of defects during the injection moulding process due to the properties of the materials the unique shape of the mould some of the most common defects are sink marks, weld lines, short mould,silver streak, flashes and flow marks. 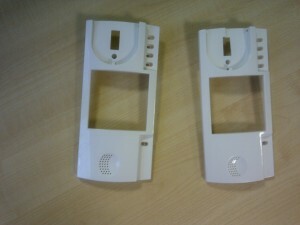 However with good mould tool design and experience of using the right materials a lot of these defects can be overcome. As in today's consumer driven market people are looking for good design and slick looking electronic gadgets in telecommunications and the automotive area. With new technology like 3d printing should help injection moulding designers produce more complicated and sleek designs in the future.